First up this month from My Pure I chose the Lavera fine loose mineral powder- what first drew me to this product was the fact it was translucent, with having dry skin I find a lot of powders sit on top of my skin and cling to dry patches making the powder quite visible so this seemed perfect. It was very light on the skin which I loved and is very natural and actually makes my skin feel quite smooth. While using this my makeup also lasted all day which I find quite a difficult task most days. 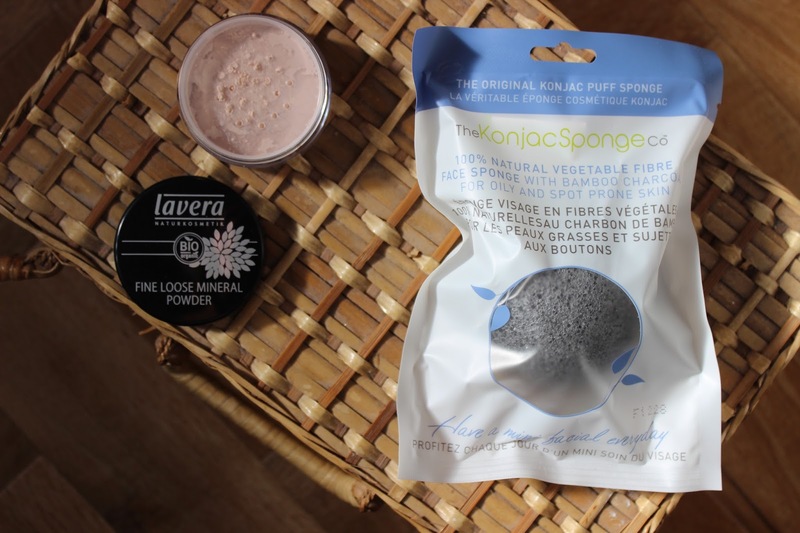 Next up is the Konjac Charcoal facial puff sponge - Honestly this was my first time coming across this brand I thought it was a quite interesting product, I wet the sponge and used it to apply my cleanser, the texture of the sponge when wet was soft but still hard enough to feel as it was throughly cleaning your face. As I have dry skin I enjoyed using this as it left my skin feeling super soft and smooth which I wasn't expecting. It did a great job of getting rid of my make up and have found myself reaching for it most days. As always I would recommend checking out the My Pure website, it's full of natural, hair care, body and makeup products the selection keeps on getting bigger and bigger!